We really enjoyed Uzbekistan. The people are warm and generous, the food and fresh produce is amazing, and the sights, oh, the sights..
What photo takes you right back to Uzbekistan? The Registan in Samarkand – the sight that put Uzbekistan on our radar was even better in real life. Summarise Uzbekistan in three words. 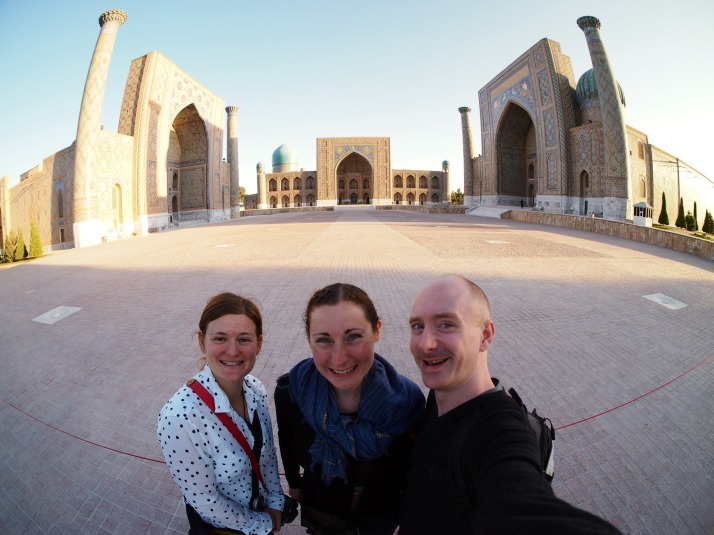 Welcoming – We were a little apprehensive of our reception before we arrived in Uzbekistan, as some other travellers experiences included overcharging, but to our delight we found it was quite the opposite – everyone we met was friendly, curious and were happy for us to take their photo. We were also given more fruit than we could carry in the Fergana market! … the £20 you’re carrying for your daily budget won’t fit in your wallet and you’re paying for everything in notes worth 20p! 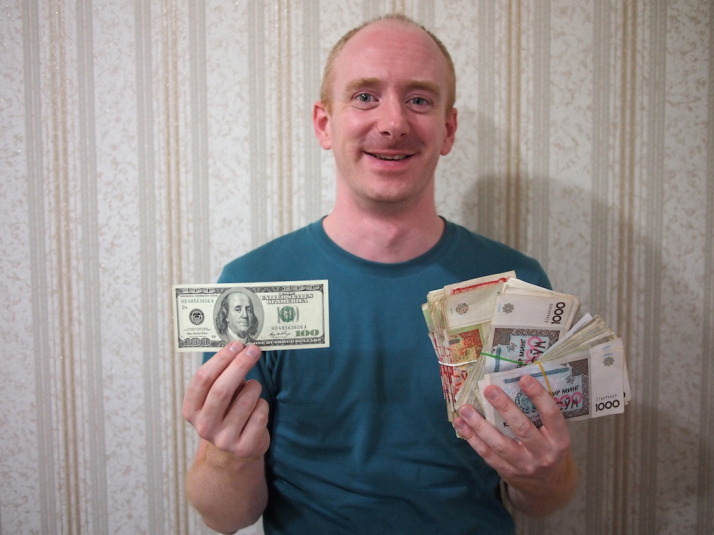 $100 US Dollars exchanged on the black market to 300,000 Uzbek Som! What one item should you definitely pack when going to Uzbekistan? Lip balm. Uzbekistan is a desert country which means everything dries pretty quickly. Great for clothes, not so great for health, especially around the Aral Sea where the climate is not only dusty but salty too. This entry was posted in Places and tagged Round Up, Uzbekistan on October 18, 2014 by Andrew. What is 13 + 35 ?